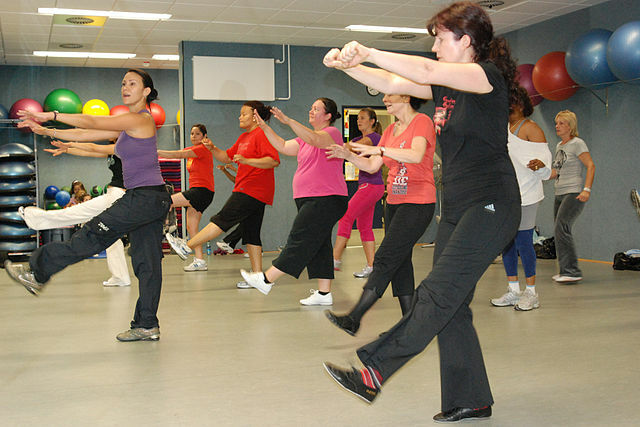 We’ve already written about the health benefits of Zumba. Now its time to take the first step and answer the all important question: what should I expect at my first ever Zumba class? Our guide provides you with suggestions about what to bring, what to expect & tips to make your first Zumba outing a successful one. Water bottle: to be sipped when you get that handy 30-60second break! Trained instructors: The instructor we spoke to was well qualified, and has been teaching Zumba for 5 years, so he was well versed to answer all questions in a professional manner. A varied workout: For example, you may do 30 jumping jacks & then switch to push ups or squats based on the type of music which is pumping through the speakers. Go early on the first day: Introduce yourself to the instructor and/or a few other classmates. Chances are they are just as nervous as you are! Watch the Instructor: Grab a spot in the middle or back of the room where you can clearly see the instructor, this lets you perform the moves correctly without the pressure of being in the front and making mistakes. Move at your own pace:What you put into Zumba= What you can get out of it. The classes can be pretty intense, so if you are struggling, don’t be afraid to slow down and take a quick water break. Spot the regulars: If you lose the rhythm (and you probably will), check out the regulars; they are the ones who are hitting the moves with precision so you can always look to them to ensure that you’re getting the correct technique and getting the most of your Zumba workout. 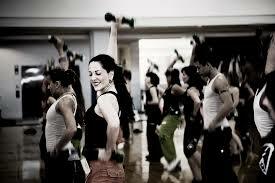 Bottom Line: Follow these suggestions and don’t stress: the point of Zumba is to relax & have a fun workout. For more information about Zumba classes in Sri Lanka, check out this official link. Enjoyed this article? Tell us in the comments & subscribe to us for more great, weekly content!